"The early Renaissance Italian painters transformed the ways in which they depicted their subject matter, developing more naturalistic representations of people and places. How did later generations of artists use and expand those techniques, and to what ends? 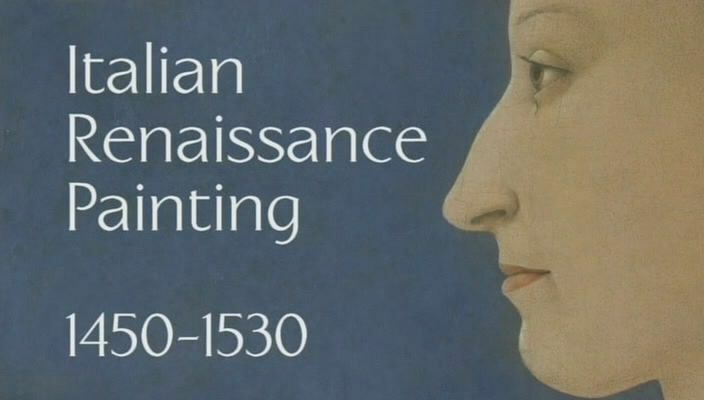 This film looks at the aims and ideals of both painters and patrons in late fifteenth- and early sixteenth-century Italy. It examines the kinds of subject matter being depicted, and themes or interests associated with specific artistic centres such as Florence, Rome and Venice. It poses questions about what happens when certain ideals - of harmony and balance, for example - are attained. The National Gallery's collection presents a unique opportunity to explore the development of Italian Renaissance painting. In this DVD Louise Govier, from National Gallery Education, introduces this extraordinary period of art history through works by artists including the Pollaiuolo brothers, Piero della Francesca, Botticelli, Piero di Cosimo, Baldovinetti, Verrocchio, Filippo and Filippino Lippi, Crivelli, Pintoricchio, Signorelli, Mantegna, Giovanni and Gentile Bellini, Cosimo Tura, Cima da Conegliano, Perugino, Raphael, Leonardo, Michelangelo, Sebastiano del Piombo, Pontormo and Parmigianin"